Balu, D. T., Presti, K. T., Huang, C. C. Y., Muszynski, K., Radzishevsky, I., Wolosker, H., . . . Coyle, J. T. (2017). Serine Racemase and D-serine in the Amygdala are Dynamically Involved in Fear Learning. Biological Psychiatry. doi: 10.1016/j.biopsych.2017.08.012. Boulanger, J. J., & Messier, C. (2017). Oligodendrocyte progenitor cells are paired with GABA neurons in the mouse dorsal cortex: Unbiased stereological analysis. Neuroscience. doi: http://dx.doi.org/10.1016/j.neuroscience.2017.08.018. Farrand, A. Q., Helke, K. L., Gregory, R. A., Gooz, M., Hinson, V. K., & Boger, H. A. (2017). Vagus nerve stimulation improves locomotion and neuronal populations in a model of Parkinson’s disease. Brain Stimulation. doi: https://doi.org/10.1016/j.brs.2017.08.008. Figueiredo, T. H., Harbert, C. L., Pidoplichko, V., Almeida-Suhett, C. P., Pan, H., Rossetti, K., . . . Marini, A. M. (2017). Alpha-Linolenic Acid Treatment Reduces the Contusion and Prevents the Development of Anxiety-Like Behavior Induced by a Mild Traumatic Brain Injury in Rats. Molecular Neurobiology. doi: 10.1007/s12035-017-0732-y. Guan, J., Yang, B., Fan, Y., & Zhang, J. (2017). GPER Agonist G1 Attenuates Neuroinflammation and Dopaminergic Neurodegeneration in Parkinson Disease. Neuroimmunomodulation, 0(0), 60-66. Loris, Z. B., Hynton, J. R., Pieper, A. A., & Dietrich, W. D. (2017). Beneficial Effects of Delayed P7C3-A20 Treatment After Transient MCAO in Rats. Translational Stroke Research. doi: 10.1007/s12975-017-0565-z. Lu, P., Ceto, S., Wang, Y., Graham, L., Wu, D., Kumamaru, H., . . . Tuszynski, M. H. (2017). Prolonged human neural stem cell maturation supports recovery in injured rodent CNS. The Journal of Clinical Investigation, 127(9). doi: 10.1172/jci92955. Markus-Koch, A., Schmitt, O., Seemann, S., Lukas, J., Koczan, D., Ernst, M., . . . Luo, J. (2017). ADAM23 promotes neuronal differentiation of human neural progenitor cells. Cellular & Molecular Biology Letters, 22(1), 16. doi: 10.1186/s11658-017-0045-1. Milanese, C., Tapias, V., Gabriels, S., Cerri, S., Levandis, G., Blandini, F., . . . Mastroberardino, P. G. (2017). Mitochondrial complex I reversible S-nitrosation improves bioenergetics and is protective in Parkinson’s disease. Antioxidants & redox signaling. doi: 10.1089/ars.2017.6992. Neuberger, E. J., Swietek, B., Corrubia, L., Prasanna, A., & Santhakumar, V. (2017). Enhanced Dentate Neurogenesis after Brain Injury Undermines Long-Term Neurogenic Potential and Promotes Seizure Susceptibility. Stem Cell Reports. Salazar, S. V., Gallardo, C., Kaufman, A. C., Herber, C. S., Haas, L. T., Robinson, S., . . . Strittmatter, S. M. (2017). Conditional Deletion of Prnp Rescues Behavioral and Synaptic Deficits after Disease Onset in Transgenic Alzheimer’s Disease. The Journal of Neuroscience. Stinnett, G. R., Lin, S., Korotcov, A. V., Korotcova, L., Morton, P. D., Ramachandra, S. D., . . . Ishibashi, N. (2017). Microstructural Alterations and Oligodendrocyte Dysmaturation in White Matter After Cardiopulmonary Bypass in a Juvenile Porcine Model. Journal of the American Heart Association, 6(8). Xenos, D., Kamceva, M., Tomasi, S., Cardin, J. A., Schwartz, M. L., & Vaccarino, F. M. (2017). Loss of TrkB Signaling in Parvalbumin-Expressing Basket Cells Results in Network Activity Disruption and Abnormal Behavior. Cerebral Cortex, 1-15. Ariza, J., Hurtado, J., Rogers, H., Ikeda, R., Dill, M., Steward, C., . . . Martínez-Cerdeño, V. (2017). Maternal autoimmune antibodies alter the dendritic arbor and spine numbers in the infragranular layers of the cortex. PLoS ONE, 12(8), e0183443. Cha, M., Um, S. W., Kwon, M., Nam, T. S., & Lee, B. H. (2017). Repetitive motor cortex stimulation reinforces the pain modulation circuits of peripheral neuropathic pain. Scientific Reports, 7, 7986. doi: 10.1038/s41598-017-08208-2. Chen, L.-J., Wang, Y.-J., & Tseng, G.-F. (2017). Cortical compression rapidly trimmed transcallosal projections and altered axonal anterograde transport machinery. Neuroscience. doi: http://dx.doi.org/10.1016/j.neuroscience.2017.08.020. Gu, F., Parada, I., Shen, F., Li, J., Bacci, A., Graber, K., . . . Prince, D. A. (2017). Structural alterations in fast-spiking GABAergic interneurons in a model of posttraumatic neocortical epileptogenesis. Neurobiology of Disease. doi: http://dx.doi.org/10.1016/j.nbd.2017.08.008. Lin, X., Li, Z., Ma, H., & Wang, X. (2017). An evolutionary developmental approach for generation of 3D neuronal morphologies using gene regulatory networks. Neurocomputing. doi: http://dx.doi.org/10.1016/j.neucom.2017.08.005. Minert, A., Yatziv, S.-L., & Devor, M. (2017). Location of the mesopontine neurons responsible for maintanance of anesthetic loss of consciousness. 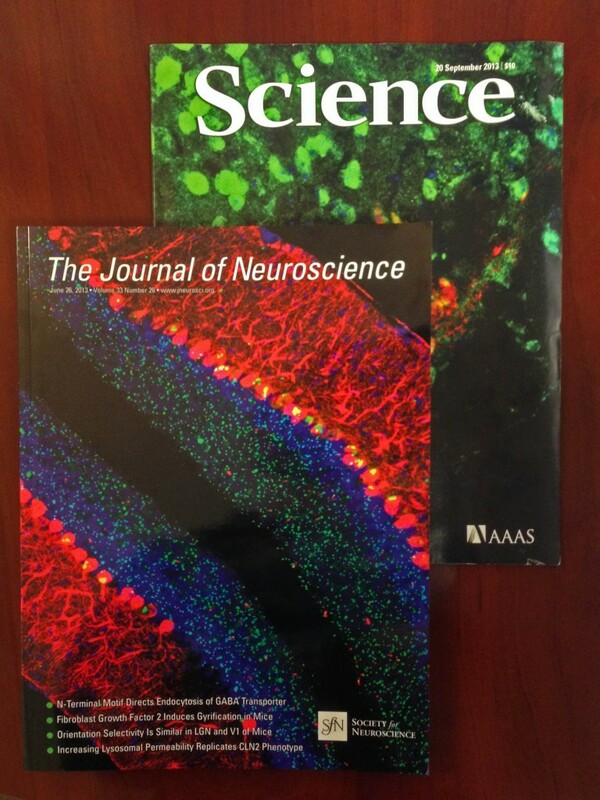 The Journal of Neuroscience. On, V., Zahedi, A., Ethell, I. M., & Bhanu, B. (2017). Automated spatio-temporal analysis of dendritic spines and related protein dynamics. PLoS ONE, 12(8), e0182958. doi: 10.1371/journal.pone.0182958. Tae, H.-S., Smith, K. M., Phillips, A. M., Boyle, K. A., Li, M., Forster, I. C., . . . Reid, C. A. (2017). Gabapentin Modulates HCN4 Channel Voltage-Dependence. Frontiers in Pharmacology, 8(554). doi: 10.3389/fphar.2017.00554. Vithayathil, J., Pucilowska, J., Friel, D., & Landreth, G. E. (2017). Chronic impairment of ERK signaling in glutamatergic neurons of the forebrain does not affect spatial memory retention and LTP in the same manner as acute blockade of the ERK pathway. Hippocampus. doi: 10.1002/hipo.22769. Wu, Y.-J., Lin, C.-C., Yeh, C.-M., Chien, M.-E., Tsao, M.-C., Tseng, P., . . . Hsu, K.-S. (2017). Repeated transcranial direct current stimulation improves cognitive dysfunction and synaptic plasticity deficit in the prefrontal cortex of streptozotocin-induced diabetic rats. Brain Stimulation: Basic, Translational, and Clinical Research in Neuromodulation. doi: 10.1016/j.brs.2017.08.007. Chaffiol, A., Ishii, M., Cao, Y., & Mangel, S. C. (2017). Dopamine Regulation of GABAA Receptors Contributes to Light/Dark Modulation of the ON-Cone Bipolar Cell Receptive Field Surround in the Retina. Current Biology. doi: https://doi.org/10.1016/j.cub.2017.07.063. Malvar, S., Gontijo, R., Carmo, B., & Cunha, F. (2017). On the kinematics-wave motion of living particles in suspension. Biomicrofluidics, 11(4), 044112. Posted in Software and tagged citations, Lucivid, Neurolucida, Stereo Investigator, wormlab.